Once you experience Taos footwear, you'll know what true luxury feels like. 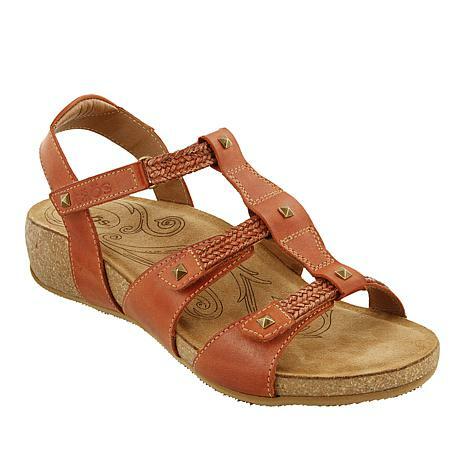 Check out the Eleanor, a gorgeous sandal with an edge, with detailed stitching and metal pyramid studs. 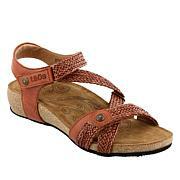 It features a padded, contour cork footbed and three adjustable straps so you can experience a custom-feeling fit. Superb styling and construction, and so easy on the feet! 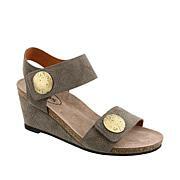 These are a very high quality, light, and attractive casual sandal. I would have kept them, but after trying them out for brief periods of time, indoors, I have to return them. I find I can't adjust to a shoe which differs from my usual orthodic sandal. I thought I'd try something different, but if just didn't work out. Bothered my hip area. I'd still recommend them for you to try, as see for yourself how your body reacts.